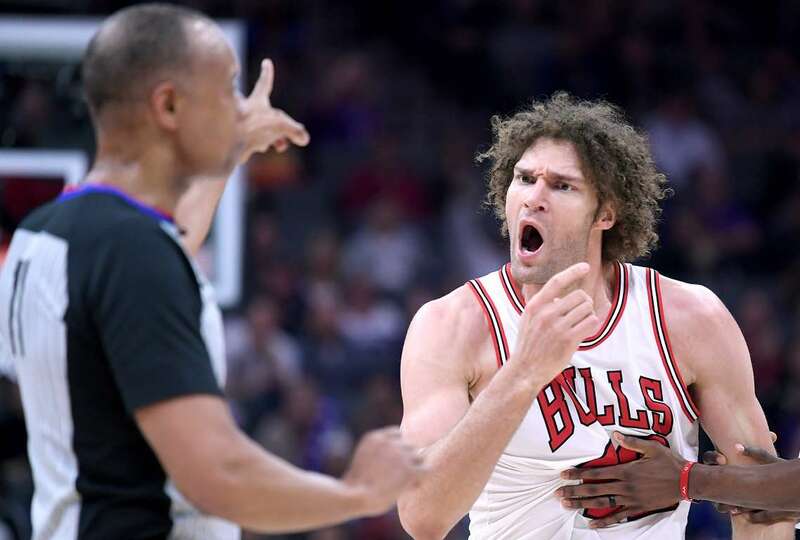 Robin Lopez of the Bulls argues over a foul called by referee Rodney Mott against the Kings on Monday in Sacramento, California. The Kings won 104-98. Photos - U.S. Daily News: Are you serious?